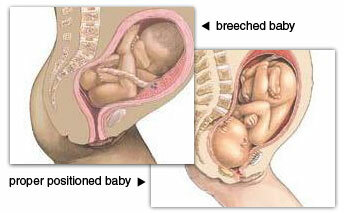 The C-Section is where you deliver a baby via your tummy instead of going through the birth canal. There are many reasons why you may choose to have a C-section, from your baby being in a bad position for natural birth, to your pelvis being too small. You can breastfeed immediately after a C-section birth, and your wound will heal in 3-6 weeks after the operation. 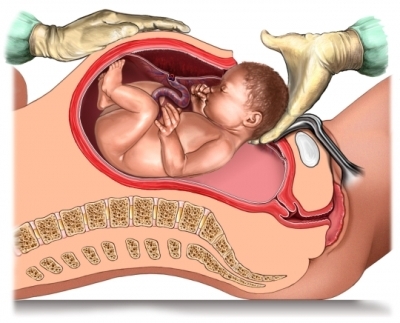 Do you know why the Caesarean section (or C-section) is named such? It’s believed that Julius Caesar was born via this procedure, where you deliver a baby through your tummy instead of going through the birth canal. How Does a C-Section Work? 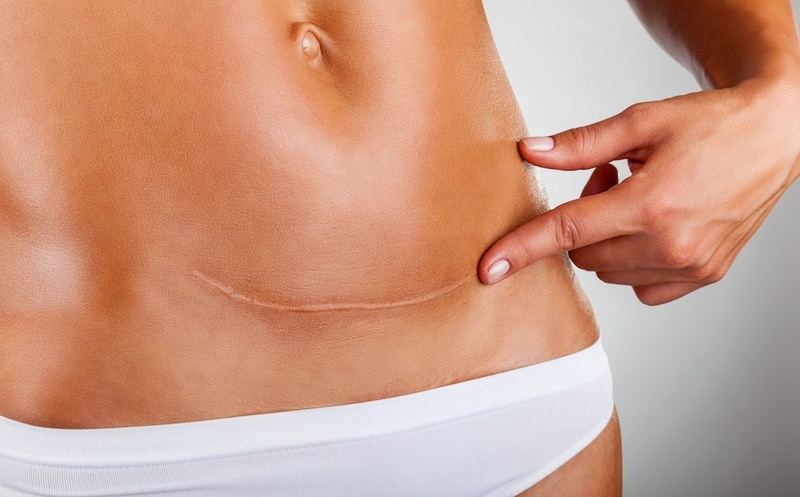 A C-Section usually involves making an incision through your bikini line. In rare circumstances, a midline incision can be made underneath your belly button for the operation due to various reasons. Around 20% of babies are born by C-section. An elective C-section is one that is planned by the woman and her obstetrician before labour begins. The decision to have a C-section is one made jointly between you and your attending obstetrician. Once you’ve decided to go ahead with a planned C-section, a date will be organised. This will usually be between 38 and 39 weeks into the pregnancy. Once the decision is made, you will need to see the anaesthetist and the midwife. The doctor will examine you, explain the operation and ask you to sign a consent form. Blood will also be taken for tests and cross matching. A record of your baby’s heartbeat is also performed. You will either be admitted to the hospital a day before the operation or you may be asked to come into the hospital early on the day of Caesarean section. You are instructed to fast overnight as with any operation involving anaesthesia. If you are taking any medication such as aspirin, you should report that to the attending obstetrician and the anaesthetist. This is because certain medications can interfere with blood clotting and may pose a problem during and after C-section procedure. A catheter will be inserted into your bladder before the operation starts. This will remain in place for about 24 hours after the operation to help you empty your bladder. A fluid drip going through a plastic tube will be placed into your arm. The anaesthetist would discuss the two types of anaesthetic for the operation. General anaesthesia, the conventional way of putting you to sleep, is generally not widely practised anymore due to the higher complications of failed intubation and gastric reflux causing problems to the lungs. It is now more common to apply an epidural or spinal anaesthesia. This involves numbing your tummy down to your legs and you will be awake during the operation. There are many advantages with this type of anaesthesia, apart from avoiding the complications of general anaesthesia. Many women feel they were able to participate in the childbirth process by having an epidural anaesthesia. Depending on the set up of the place of your operation, some places may allow your partner to be with you throughout the process of C-section. Your tummy will be cleaned with an antibacterial solution and is then covered with a sterile sheet once your lower half is adequately numbed for the operation. You will usually have a small cut above the bikini line. It usually takes about 15 minutes to deliver your baby. The cord is cut and the baby is routinely checked over quickly. The baby will then be brought either for you to hold, or given to your partner. It takes about 45 minutes to sew up the wound and your tummy. 1. When can I start breastfeeding my baby? You can breastfeed your baby immediately after the surgery, depending on how you feel and how your baby is doing. However, some women who had a general anaesthetic for the operation may feel too groggy to do so immediately. If you are still not able to do so after 12 hours, you could ask help from the midwives. Using a pump to express your pre-milk (colostrums) could be helpful to get lactation started. Some women find it uncomfortable to breastfeed after an operation. The midwives are most willing to help if you find it difficult to breastfeed. Some techniques like placing a pillow on your lap under the baby or lying on your side to nurse can be helpful to ease the process. 2. Will the drugs used during operation transfer to my breast milk? The medication used in general anaesthesia and epidural anaesthesia will not cross your breast milk. So, you do not need to worry about harming your baby if you breast feed after a C-section. 3. How important is it to breastfeed my C-section born baby? A naturally born baby gets colonised by those good bacteria, which will in turn colonise the newborn baby’s gut and trigger the immune system. This will help to strengthen the baby’s immunity and protects against infections. Compared to a baby born naturally, an infant delivered via C-section experiences delay in acquiring good bacteria such as lactobacilli and bifidobacteria from contact with the mother via the vaginal canal. Recent studies have shown that C-section deliveries may be associated with increased risk of asthma, allergies and gastrointestinal infections. Therefore, breastfeeding in a baby born via a C-section has extra benefits. Colostrums or the foremilk is rich with antibodies, which can help to protect the baby against infection and strengthen their immunity. In addition, breastfeeding require the baby to be in contact with the mother’s skin, which will enhance the transfer of good bacteria to the baby. 4. What if I can’t breastfeed? Although breast feeding is the best for your baby, we appreciate the fact that a small number of mothers could not breast feed or are found not suitable to breast feed due to medical reasons. For alternatives to breast feeding, an infant formula fortified with lactobacilli and bifidobacteria may be helpful to enhance the transfer of good bacteria to these babies. In the absence of complications, many women feel well enough to return to normal activities roughly three to six weeks after the operation. 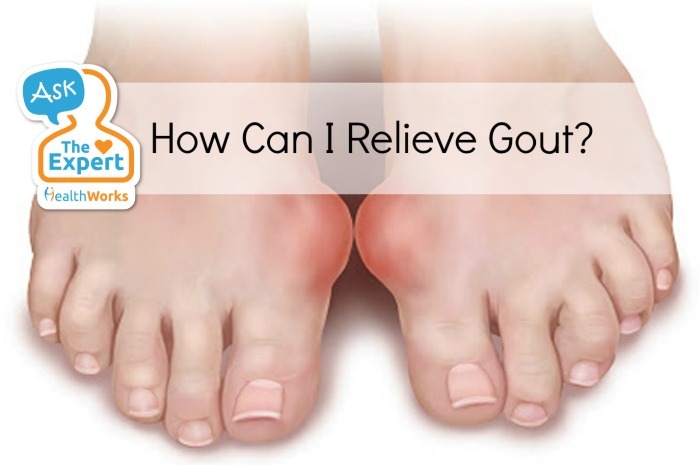 It is normal to feel tired and soreness of the tummy for the initial fortnight. 2. How should I care for the wound? It is important to keep your wound dry throughout the initial few days of the operation. In some circumstances, especially if you suffer from diabetes mellitus during pregnancy, there is a higher chance of infection to the wound. 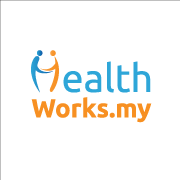 If this occurs, your wound may become swollen and painful and a discharge may sometimes develop. However, this usually settles with a course of antibiotics. While you can carry your baby once you feel comfortable to do so, we generally recommend you not carry heavy loads within the first six to eight weeks after a C-section to prevent complications such as hernias. 3. Will the stitches come apart easily? Don’t worry the stitches may come apart if you laugh or cough too much as stitches used to close your tummy are usually strong enough to withstand such physical stresses. Also, don’t worry about carrying your baby as the stitches used are generally strong enough. The stitches used are either dissolvable or will be removed five to seven days after the operation. The type of stitches used depends on the surgeon. 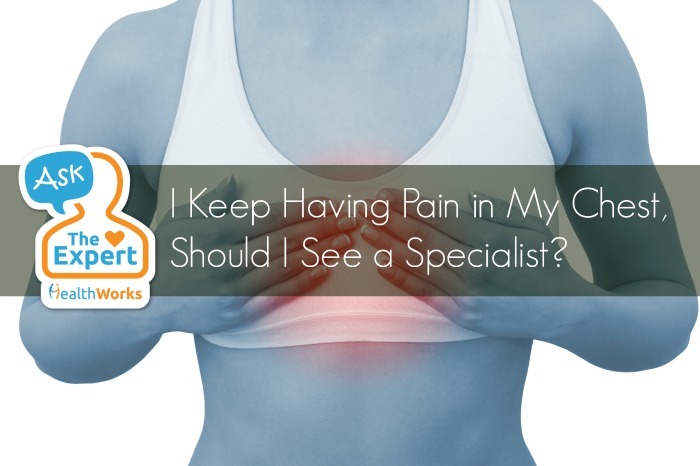 Whether you’re choosing to do it naturally or opting to go for the C-section, you should always talk to your doctor about your concerns and questions. Being prepared takes the stress away from welcoming your bundle of joy. Ladies who have done the C-section, what was it like for you? Share your experience with the new mommies out there in the comments section below or on our Facebook page!